Specialty formulas designed for use in specific clinical situations generally are much more expensive than standard polymeric formulas. Clinical trial data supporting use of these specialty formulas in niche populations typically are unconvincing in terms of patient outcomes. CLcnlial Hints1*, FPA.fsoiapenr-aenok acidt GtA. V-linoienic ocitHi, high sires-;. MCT. nuxJum-chain triglycerides; PR, pulmonaiy disease; Tfl, mum. The newer generation of enteral feeding formulas marketed for use in these populations covers a broad spectrum of characteristics (Table 101-5). Whereas some are polymeric, others are oligomeric to address malabsorption that may accompany high stress. Some formulas marketed for use in critical illness are calorically dense (1.5 to 2 kcal/mL) to address fluid restrictions seen in this population, whereas others are less calorically dense. Most products contain generous amounts of protein to address requirements of highly stressed patients (nonprotein kilocalorie to nitrogen ratios typically between 75:1 and 125:1). Many products contain ingredients purported to increase immune function; the term immunonutrition is sometimes attached to these products. function under certain conditions. Arginine has been purported to have positive influence on lymphocyte and macrophage function. 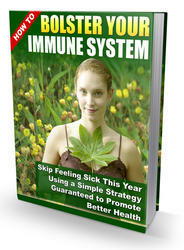 ing the immune system from damage by oxygen-free radicals. Oxygen-free radicals may be produced in high quantities in the setting of injury or infection. ents (e.g., arginine and glutamine) found in these products have been conducted. ' ' In general, these analyses have found no benefit in terms of mortality. However, several have concluded that infection rates, length of stay, and length of time on a ventilator may be decreased with these products. More research will be necessary to further delineate which subpopulations will most likely benefit from these therapies. The best timing (initiation and duration) of delivery also needs to be determined. There is some concern that supplementation with arginine may be detrimental in septic patients. Enteral feeding formulas designed for use in patients with chronic obstructive pulmonary disease or receiving mechanical ventilation contain higher amounts of fat (40% to 55% of total kilocalories) than most formulas. The rationale for high fat content is that burning of fat for energy is associated with less carbon dioxide production compared with burning of carbohydrate. Less carbon dioxide production theoretically would be advantageous in patients with retention of this substance and might facilitate weaning from mechanical ventilation. Since part of the market targeted by the manufacturers of these products comprises mechanically ventilated patients, these products are included in Table 101-5 (e.g., Pulmocare, Nutren Pulmonary, Isosource 1.5 Cal and Oxepa). Carbon dioxide retention owing to carbohydrate administration was a problem previously (particularly with PN) when feeding was overzealous. However, at conservative calorie levels typically administered today, even standard enteral formulas usually can be given without fear of excess carbon dioxide production. One formula, Oxepa, has been studied specifically in critically ill patients with acute respiratory distress syndrome (ARDS) and acute lung injury.29, 0 This high-fat formula contains high quantities of the rn-3 fatty acids (EPA) and y-linolenic acid (GLA). y-Linolenic acid is metabolized to a prostaglandin with vasodilatory properties. EPA is converted to prostaglandins and leukotrienes with primarily an antiinflammatory profile. This formula also contains large quantities of antioxidants. Patients receiving this formula required fewer days of mechanical ventilation than patients receiving a high-fat enteral feeding product as a control.26,27 Concern that the high-fat product used as a control could actually be detrimental to patients remains. Similar to pulmonary formulas, formulas designed for the patient with diabetes or stress-induced hyperglycemia are relatively high in fat and low in carbohydrate (Table 101-6). Macronutrient content of these products does not follow the recommendations of the American Diabetes Association for patients with diabetes (lower carbohydrate content and higher fat content than recommended), which could be an issue if used for more than a couple of weeks. These formulas typically contain fiber (primarily soluble) because it plays some role in glycemic control. They also may contain fructose and MUFAs. Data support improved blood sugar control with use of these formulas in patients with diabetes. 2 The importance of preventing severe hyperglycemia in various clinical settings including intensive care has been recognized. Therefore, whether or not a diabetic EN formula is chosen, avoidance of overfeeding and maintenance of good glycemic control with insulin or other hypoglycemic medications are important in these populations. Each major manufacturer of EN products markets more than one specialty formula for use in renal failure (Table 101-7). These products have high caloric density (2 kcal/mL) in light of the need to decrease fluid in this situation. The products vary in amounts of nutrients of interest in renal failure patients such as protein, potassium, phosphorus, and magnesium. Products low in protein (20 to 35 g/L) may be appropriate in chronic renal failure patients not yet receiving dialysis. On the other hand, removal of protein by dialysis, coupled with the hypercatabolic, hypermetabolic condition seen in many acute renal failure patients, makes use of higher-protein formulas (70 to 85 g/L) appropriate in these situations. Potassium, phosphorus, and magnesium contents of EN formulas designed for use in renal failure tend to be lower than standard formulas because these renally excreted electrolytes accumulate during renal failure. Historically, elemental formulas designed for renal failure were enriched with essential amino acids (EAAs) and contained lesser amounts of nonessential amino acids (NEAAs) than standard formulas. Theoretically, EAAs could combine with urea nitrogen in the synthesis of NEAAs, leading to a decrease in blood urea nitrogen (BUN). The only situation in which such formulas may be appropriate is in patients with chronic renal failure who are not candidates for dialysis. Even in this setting, use of these products should be limited to no more than 2 or 3 weeks owing to the risk of increased serum ammonia levels.1 These EAA-enriched formulas have been supplanted largely by polymeric formulas with protein content similar to standard EN formulas. The main difference between these products and standard EN formulas is reduced potassium, phosphorus, and magnesium concentrations. ^Complete formula—contains all nutrients in amounts sufficient to meet needs of most patients in a volume equal to or less than that usually administered. 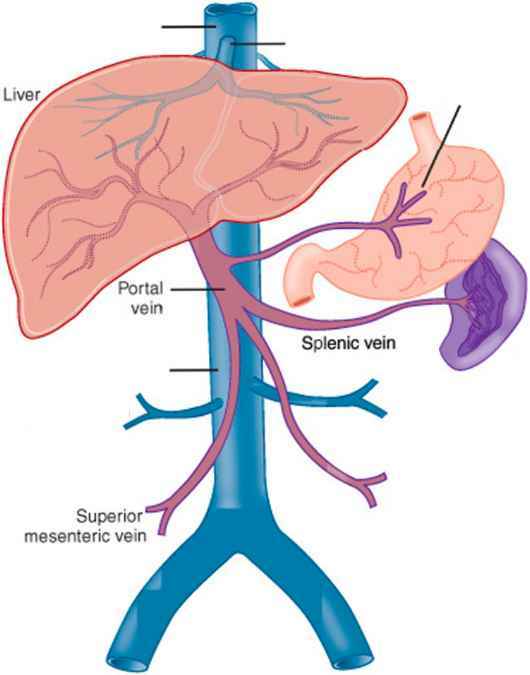 Specialized formulas for patients with hepatic insufficiency are limited in number. These are enriched with BCAAs while containing a reduced quantity of aromatic amino acids (AAAs) and methionine compared to standard enteral formulas. These changes address the high levels of AAAs and low levels of BCAAs found in the blood of patients with hepatic insufficiency. Theoretically, these products might help patients with hepatic encephalopathy (HE). One of the mechanisms postulated as a cause of HE is the "false neurotransmitter" hypothesis. According to this hypothesis, high levels of AAAs in the blood allow large quantities of these amino acids to cross the blood-brain barrier and form false neurotransmitters, such as octopamine. Administration of high amounts of BCAAs could competitively inhibit some AAAs from crossing the blood-brain barrier, thus decreasing formation of false neurotransmitters. Hepatic formulas have low AAA content and this distinguishes them from the BCAA-enriched formulas historically used in critical illness and stress. Although some data support the use of these specialty products in treatment of moderate to severe HE, improvement in mortality attributable to them has not been consistent.1 Therefore, many institutions and clinicians prefer to use less expensive polymeric enteral formulas containing standard protein sources for patients with hepatic insufficiency. The specialty formulas are recommended only for patients with chronic cirrhosis who cannot ingest 1 g protein/kg/day without becoming encephalopathy.1 An example of a specialized hepatic formula is Hepatic-Aid II, a product supplied as a powder for reconstitution that requires vitamin, mineral, and electrolyte supplementation. A second product is NutriHep, supplied as a liquid formula containing the recommended amounts of key vitamins, minerals, and electrolytes.